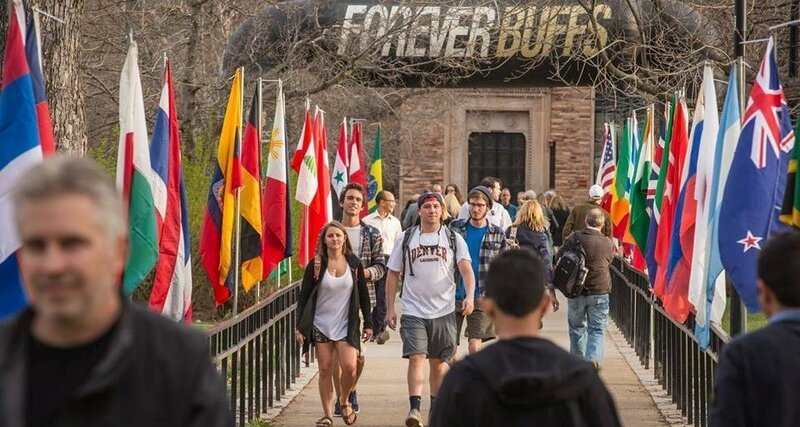 The Conference on World Affairs, famously called “the Conference on Everything Conceivable” by Roger Ebert, is held every April at the University of Colorado Boulder campus. The public is invited to witness any of the 200 sessions held by 100 speakers and performers — all for FREE. These thought leaders will be discussing and debating a variety of topics from gender issues, science and technology, environmental and political topics, pop culture and so much more! To get the most out of the conference, I recommend downloading the free Conference on World Affairs app that will help you to find topics of interest, keep track of your schedule and even submit questions for the speakers. If you’ve never had the pleasure of attending the conference, here are 5 reasons you don’t want to miss it! CWA Week is a coming together of some of the brightest minds in the world. Over 100 speakers and performers representing 19 countries will enlighten, inspire and entertain CWA attendees. This year, big names include Senator Amy Klobuchar (2020 presidential candidate), Mike Reiss (longtime writer of The Simpsons), Hope Solo (soccer star) and Miriam Jordan (national immigration correspondent for the New York Times). At CWA Week, there is truly something (or more likely, lots of things) for everyone. Thought leaders will be discussing important issues of today like: Is Masculinity Toxic?, Can You Feel It? Numbness to Tragedy, and Xenophobia: History & Hysteria. Or, challenge your mind with panels that ask: Why Do We Lie?, Will Bees Save the World? and Where has the Silence Gone? Whether your thing is history, politics, science, psychology or the arts, you’re guaranteed to find something that will pique your interest. Music is an essential element to the Conference on World Affairs. The CWA Jazz Concert is the main event, featuring talented musicians from all over the world. But there is more! Other performances include Rhythm & Words, n-Topia: An Immersive Full-Dome Experience and Jazz Masterclass. A highlight of CWA Week is Ebert Interruptus, a combination viewing and in-depth analysis of a single film, broken up into four parts. This year’s film will be the Oscar-winning Disney Pixar animation WALL-E.
CU’s campus is the perfect setting for a week of inspiration. Take the free HOP (a CWA perk!) to CU and step inside the beautiful old sandstone buildings to learn something new.